I have a ticket if you are still looking for one. Apologies, not sure how to message you. 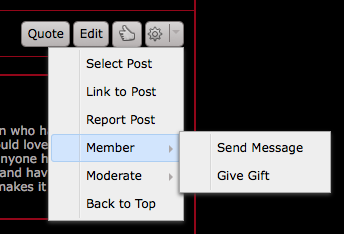 If you click on the cog icon on jj62 's post, you'll get a drop down menu. Go to "member" & then "send message"
A friend of mine won't be in London saturday, and by the way, she sell her ticket primary entry. PM me if interest. I will arrive at 7:30AM saturday at Heathrow. I have a GA ticket for sale. Pm me. I have a spare Primary ticket (12:30pm early entry). I can meet Friday afternoon / evening or Saturday morning. I have a ticket primary entry, if anyone wants, and Im available tomorrow.